“Let me tell you about the very rich. They are different from you and me.” F. Scott Fitzgerald’s words turn out to be a hard lesson to learn for economist Rachel Chu. She agrees to accompany her boyfriend Nick to his best friend’s wedding in Singapore, excited and a little apprehensive to finally meet his family. What he hasn’t mentioned is that he comes from staggering wealth, so she has no idea of the spectacle of excess she is about to face. Will this change her opinion of Nick? Narrator Lynn Chen plays with humor and drama, all while helping listeners keep a host of characters distinct. 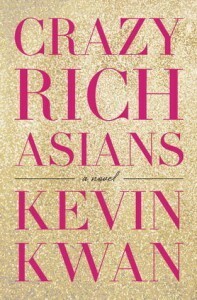 Crazy Rich Asians is an affectionate satire paired with relationship drama that is ideal for those who enjoyed The Devil Wears Prada.